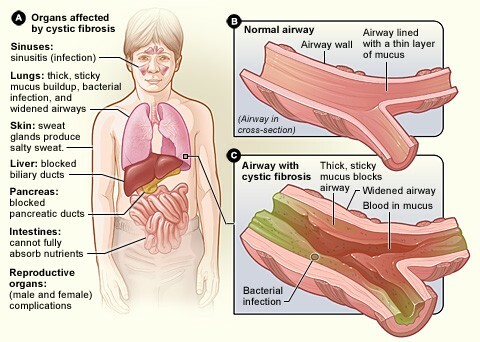 Cystic Fibrosis is a disease that is passed down from families that causes thick, sticky mucus to build up in the lungs, digestive tract, and other areas of the body. It is one of the most common chronic lung disease in children and young adults. It is a life-threatening disorder. Babies skin tastes salty when kissed. or the baby doesn't pass stool when first born. 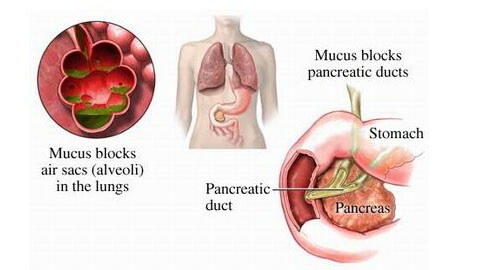 1: preventing and controlling lung infection. 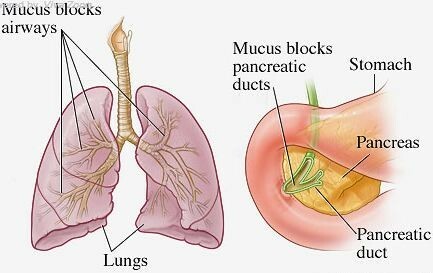 2: loosening and removing thick, sticky mucus from the lungs. 3: preventing or treating blockages in the intestines.